Does the thought of returning to education terrify you? Would you like to be able to use a computer competently and without fear? 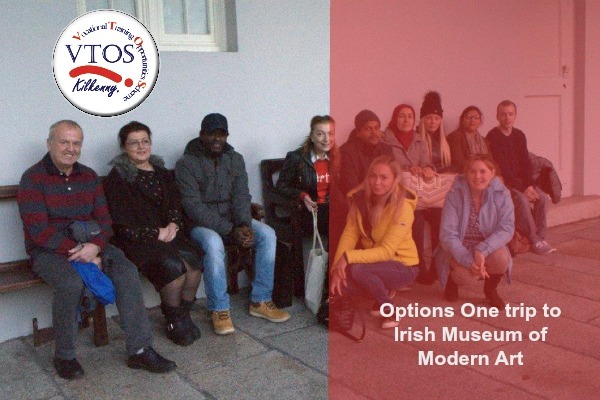 Then the basic computer applications Options One course in VTOS Kilkenny could be perfect for you. 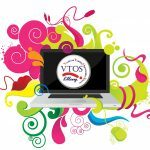 Here in VTOS Kilkenny, our basic introductory computer applications courses are tailored to suit the individual. We understand that everyone learns at their own pace and we encourage and support our students to recognise their potential. All courses are certified by QQI (Quality and Qualifications Ireland) the independent State agency responsible for promoting quality and accountability in education and training services in Ireland. The QQI Level 3 computing subjects are taught by our tutor Leanne and include Computer Literacy, Word Processing, Spreadsheets, Internet Skills and Desktop Publishing. Leanne also teaches computer applications at a more advanced level in the Options 2 course and it is at these levels that the foundations are laid for students to progress to study the QQI Level 5 course in Information Processing. 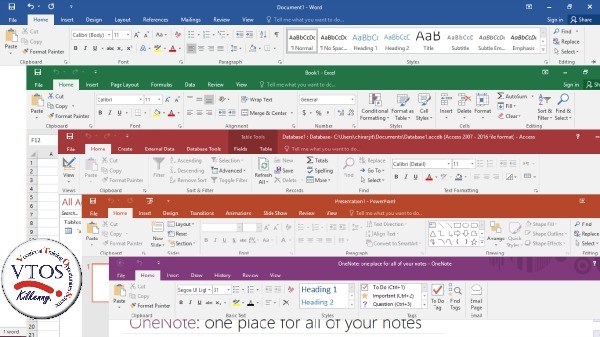 During this introductory year to computing, our students become familiar with the basics of using a computer and become confident users of Microsoft Office applications. All courses in the Options One beginners’ classes assume that the student does not have any prior computing experience and we work slowly through the course to ensure that everybody understands the basics and can move to the next stage with confidence. After studying the Word Processing module students should be able to create and modify documents and understand various document layouts and file types e.g. letters, memos, notices, and reports. They will be able to insert images and graphics, alter the layout of a document and most importantly save the document to the correct location! The Spreadsheets module will cover the basics of Microsoft Excel. Students will learn how to construct a spreadsheet, format and edit the look of a spreadsheet, work out simple formulae and create simple graphs to display information. You will also become proficient in Microsoft Publisher and in the Graphic Communications module learn how to create posters, greetings cards, newsletters and brochures.